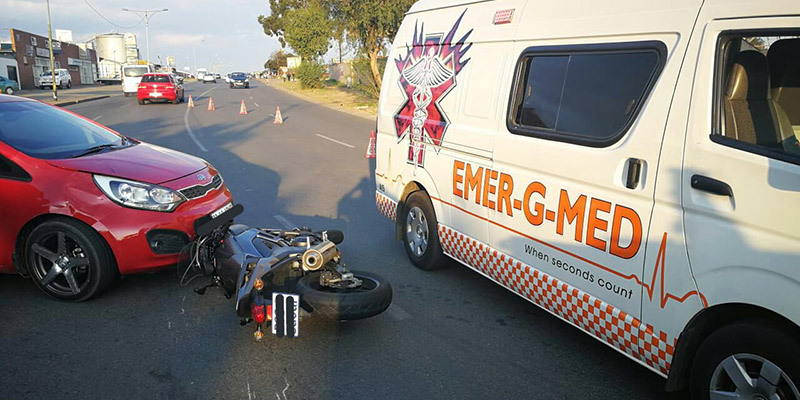 Rider Killed in Melkbosstrand, WC - Motorcycle Safety Institute of S.A. 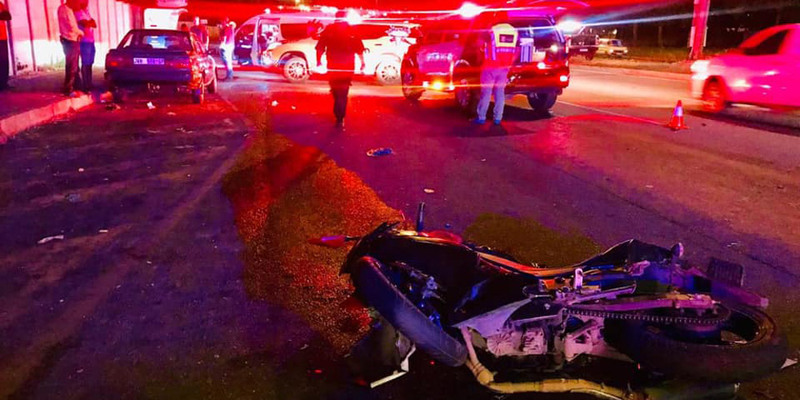 Taxi and motorcycle collide leaving one dead, four others injured. 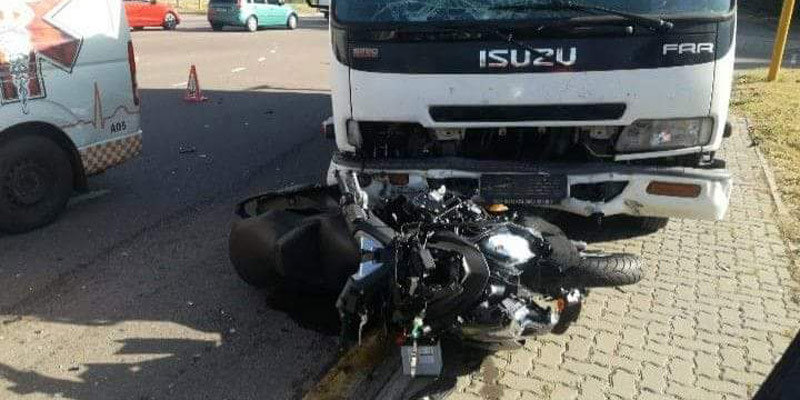 A man was killed and four others injured this morning (4 May 2018), when a taxi and motorbike collided on the M19 near Melkbosstrand in the Western Cape. 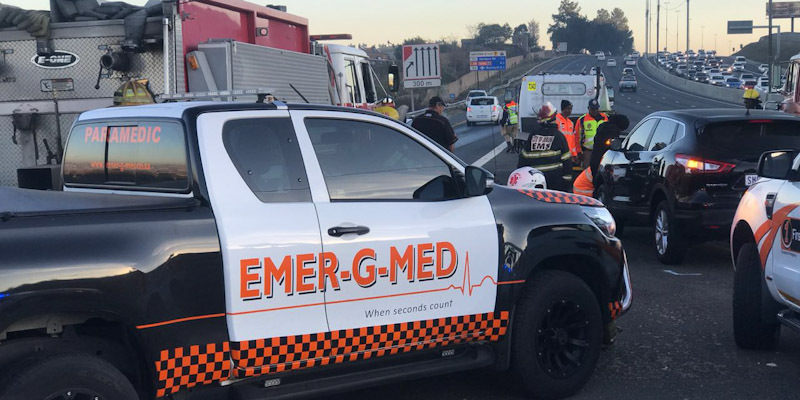 ER24 paramedics, along with Metro and Fire Services, arrived on the scene to find the taxi in the emergency lane. A motorbike was found lying on the side of the road with the body of the biker lying a few metres away. Paramedics assessed the biker, a man, and found that he had sustained numerous injuries and showed no signs of life. Unfortunately, nothing could be done for him and he was declared dead. On further assessment, paramedics found that four women from the taxi had been injured. The injuries sustained ranged from minor to serious. Paramedics treated the patients and provided the seriously injured woman with pain relief medication before they were transported to nearby hospitals for further treatment.